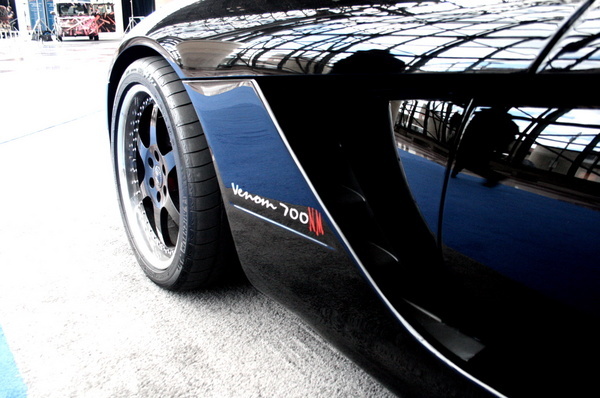 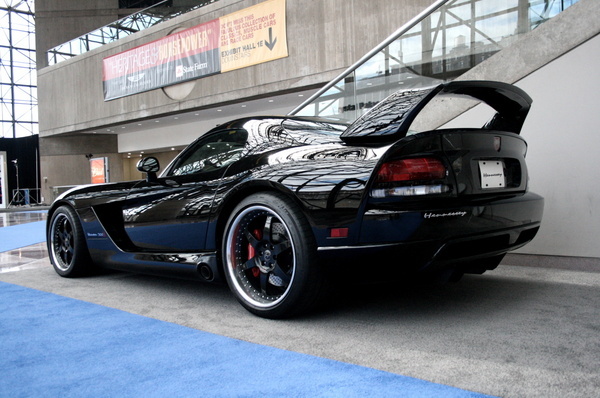 Back in 2008 Hennessey and Neiman Marcus partnered in order to introduce the 2008 Neiman Marcus Special Edition Hennnesey Venom 700NM Viper. 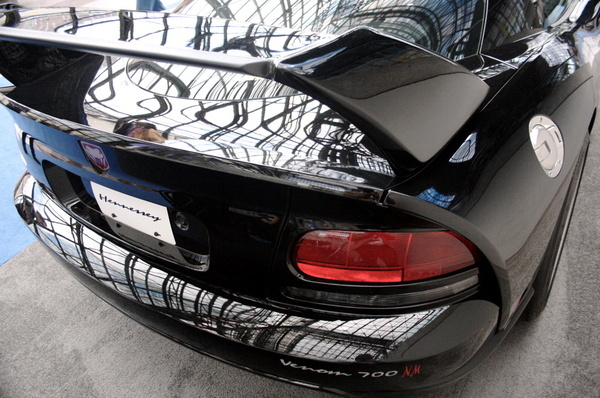 Only seven 2008 Dodge Viper SRT10 Convertible or Hardtop Coupe based units were built and retailed for about $180 K.
The Special Edition Venom Viper features jet black paint with a rear wing which was tested at 200 mph speed. 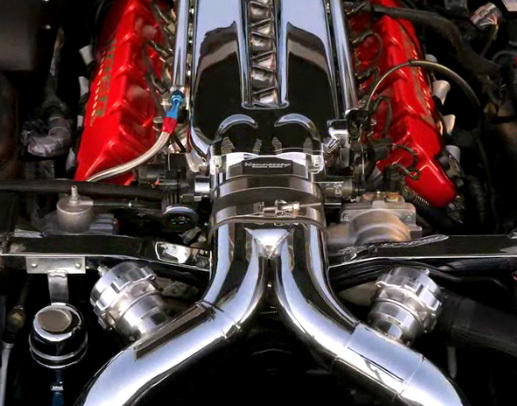 CUstom modified engine develops 700 HP and get 0-60 in 3.3 seconds. 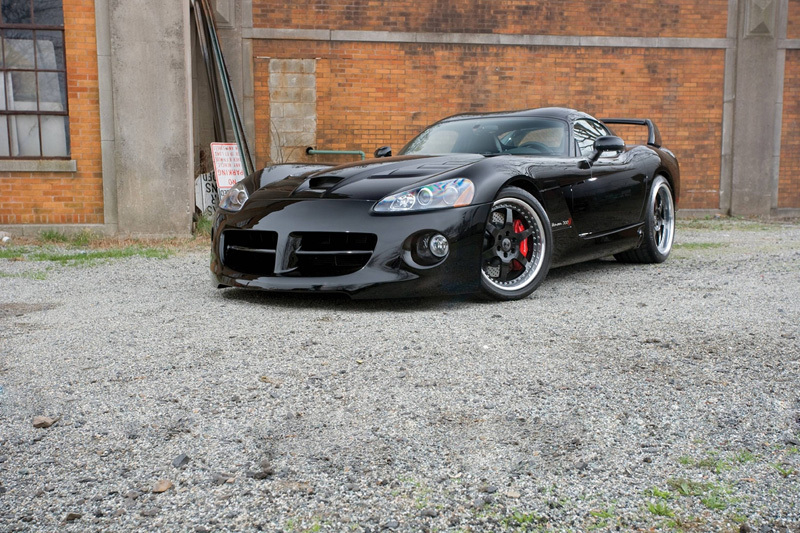 “The Venom 700NM offers world-class power, performance and looks in typical Hennessey style. 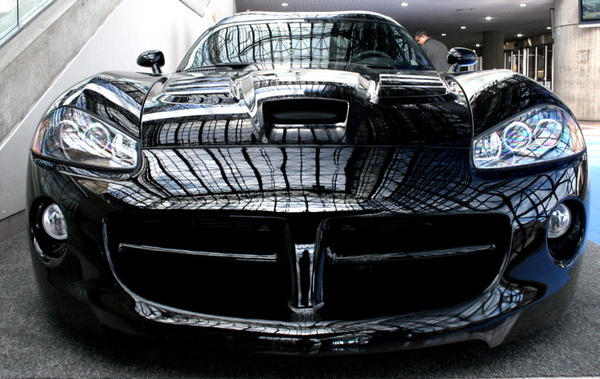 We are very excited about our new partnership with Neiman Marcus.” said John Hennessey.